"STOP I Could've Dropped My Croissant Shirt Funny Vine Meme Sarcastic design which everyone will like! 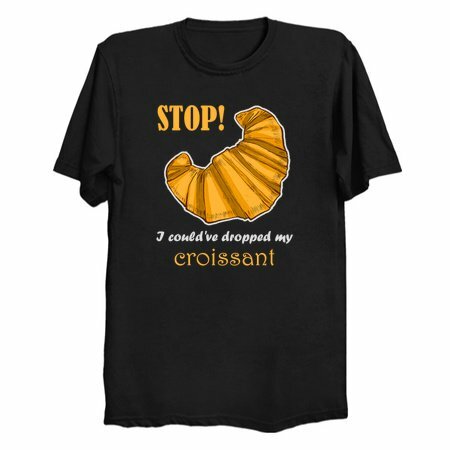 STOP I Could've Dropped My Croissant is an excellent purchase for yourself, and for a gift to family and friends. 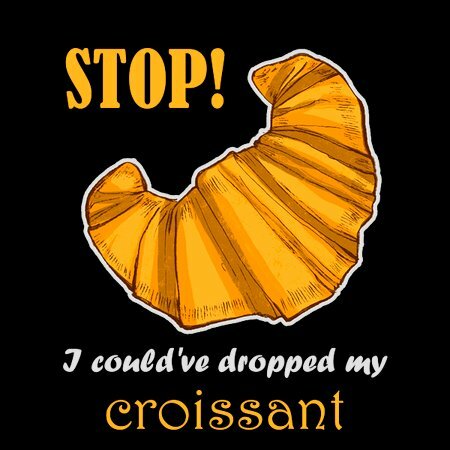 Buy STOP I Could've Dropped My Croissant tee design art as a T-shirt for men, women, youth, girls, boys, kids and children right now!